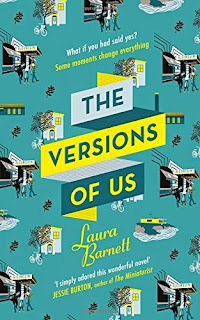 Eva and Jim first meet at Cambridge in 1958; she is cycling along quickly and swerves to avoid a dog, he steps forward to help, and what happens next will affect the rest of their lives. Do they speak briefly and part, do they go off to the pub? Three different scenarios are offered and from this point the narrative splits, with each version following Eva and Jim throughout their lives - however events play out, the two of them seem linked, their paths destined to cross and part, and maybe cross again. 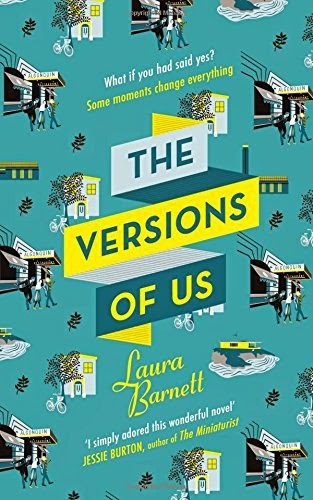 The Versions of Us is a stunning book, even more so considering it is Laura Barnett's debut novel! With three alternate time-lines playing out over 50 years it's easy to see this book is a cross between Sliding Doors and One Day but for me, in style and story-telling, it has more in common with Kate Atkinson's Life After Life. 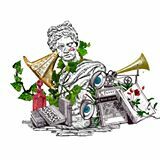 From that initial meeting Eva and Jim's alternative lives pan out in different directions, and the reader is offered three versions of how their lives could have been, each fully realised; it's almost like reading three different stories. The balance between them is perfect, none is allowed to dominate, but which of them leads to a happier life? At first it seems to be one version, then, as the years pass, another will seem the more appealing. It led me to wonder if I were Eva or Jim and could choose my life, knowing all the permutations, which would it be? I also wondered how much fun the author had in playing with Eva and Jim's lives; authors frequently say that their characters take charge and will only behave in certain ways - this time it seems like the author has the upper hand and can manipulate the characters at will, sometimes pushing them forward impulsively, sometimes holding them back. I loved it completely; following Jim and Eva throughout three lifetimes I became familiar with them, their characters and foibles, their friends and family. If there's a drawback, it's that it's not always easy to remember what has happened previously in each version, and I have to admit I had notes to help me keep track of things. Something I'd like to try one day is reading each of the time lines individually, from start to finish as a 'normal' story. It certainly isn't a book to read once and discard; there's still lots to explore after that. I don't belong to a book group and this is one time that I'm missing that because there's lots to discuss with fellow readers - not least that question of which way leads to greater happiness and fulfilment.